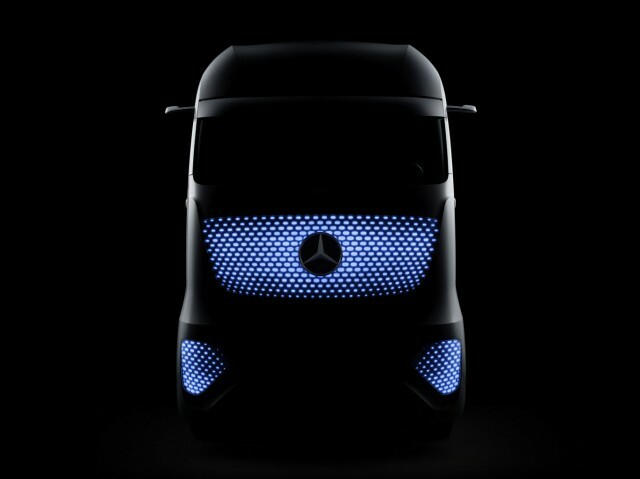 The technology of tomorrow is already a reality at Daimler Trucks, in the shape of the Mercedes-Benz Future TruckÂ 2025. The autonomously driving truck was presented on the eve of the 65th International Motor Show for commercial vehicles in Hanover, Germany. Its perfect synthesis of technology and design means: The Future Truck 2025 is more than simply a new truck; it is a key component of the transport system of the future. For the Mercedes-Benz Future Truck 2025 is sparing on resources, reduces emissions of all types, ensures maximum road traffic safety and increases the level of networking in road transport. Goods traffic in the future will be safer, more efficient and more connected as a result. The Future Truck 2025 thus marks a revolution for road traffic and its infrastructure, the truck driving profession and the haulage industry as a whole. The Mercedes-Benz Future Truck 2025 is far more than a remote vision. The truck should be on our roads in ten years’ time. Many of its technological elements are already available and ready to use. “This truck provides compelling answers to the challenges that our customers will be facing in the future. Our aim therefore is to press forward with readying this technology for the market and to bring it to series-production standard,” said Dr Wolfgang Bernhard, Daimler Board Member for Trucks and Buses, at the presentation of the innovative vehicle in Hanover. “What we are showing here today is how the transport of goods on our roads will be running more efficient, safer and more connected in ten years’ time. I am convinced that this will open up a whole new business perspective for Daimler Trucks ,” added Bernhard. Daimler Trucks demonstrated the capabilities of the Future Truck 2025 in July 2014 by driving autonomously at speeds of up to 80Â km/h in realistic traffic situations on a section of the A14 motorway in Magdeburg, Germany. The Future Truck 2025 does not need to be daisy-chained to other vehicles. Either it does not need to be part of a platoon. Radar sensors and camera technology enable the Future Truck 2025 to drive autonomously, independently of other vehicles or central control stations. Networking with other trucks or passenger cars extends its abilities further, but is not necessary for autonomous driving. All this impressive technology is brought together by Mercedes-Benz in the highly intelligent Highway Pilot system, which resembles the autopilot system on an aircraft. All sensors on board the Future Truck 2025 are networked and, through a process of data fusion in the central computer, provide a complete image of the surroundings. All moving and stationary objects in the truck’s vicinity are registered. The sensor and camera technology is active from standstill to the legally permitted maximum speed for trucks. By intervening in the steering, it automatically keeps the truck safely in the centre of its lane. The system also includes a three-dimensional digital map, as is already currently used for the assistance system Predictive Powertrain Control (PPC). This means that the truck is always fully aware of the road’s course and topography, with a resulting positive effect on fuel consumption. A new feature in the Future Truck 2025 is Blind Spot Assist, itself a technological breakthrough when it comes to safety, which Daimler will bring into series in the coming years. Radar sensors monitor the sides of the truck and alert the driver to the presence of other road users to either side of the vehicle who may not be immediately visible. “We will be the first to bring this technology to the market. The reason for this is as simple as it is convincing: our ultimate aim is to make truck driving accident-free. And with Blind Spot Assist we are taking an important step in this direction,” said Bernhard. The design of the Future Truck 2025 also helps to convey the tremendous step that has been made from the classic truck to the autonomous transport vehicle. On the exterior, for example, it features cameras instead of conventional exterior mirrors. This improves the truck’s aerodynamics, so improving its efficiency. 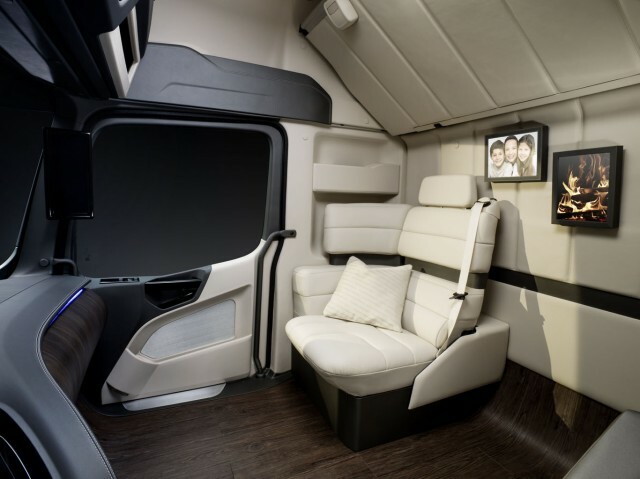 The interior appointments of the Mercedes-Benz Future Truck 2025 reflect the aim of providing any driver of this autonomously driving truck with a space in which to work and relax that is geared specifically to their new needs. Displays replace instruments, a touchpad the conventional array of switches. During autonomous driving phases the driver’s seat, which can be swivelled by 45 degrees, becomes an office chair or even an easy chair, from which the driver can perform other tasks or perhaps touch base with friends or family. To communicate from this workplace of the future during autonomous driving phases the driver uses a tablet computer. On long routes driven autonomously, the tablet computer will in future become as crucial a working tool as currently the steering wheel and pedals. Drivers will use it to process documents, schedule in additional destinations, accept further orders and arrange their next break. The computer’s screen can be configured to suit individual requirements. The driver can also use it to call up any essential trip data that may be required. “As this perfect interplay of technology and design amply demonstrates, the Mercedes-Benz Future Truck 2025 is not only a great example of superb engineering skill but also a sophisticated overall concept,” said Bernhard. The overall concept of the Future Truck 2025 will also in future improve business prospects for customers: autonomous driving will ensure a better cost position, higher capacity utilisation of the vehicles and greater reliability. The Future Truck 2025 also adds to the appeal of driving as a profession by making the work involved more complex and fulfilling and, at the same time, by allowing more scope for social needs. What is more, the Future Truck 2025 reduces impact on the environment, optimises road use, improves traffic flow and reduces the risk of accidents. 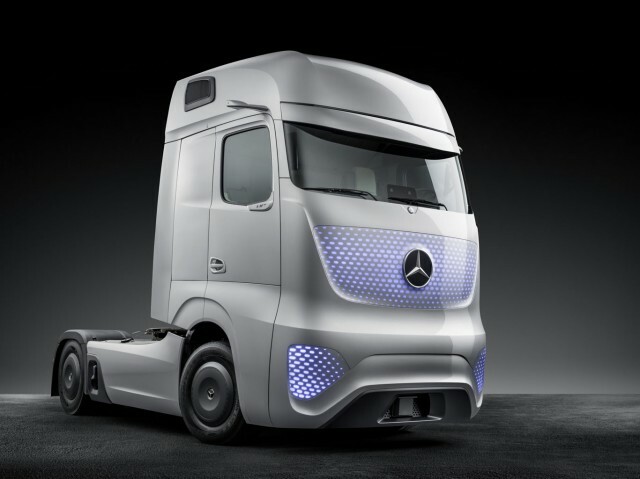 The Mercedes-Benz Future Truck 2025 is not the only vehicle to show that Daimler Trucks is in the overtaking lane as far as technological leadership is concerned. “We already have the strongest product portfolio that we have ever had. To ensure that things stay this way, we continue to invest around a billion euros each year into research and development,” said Bernhard. Daimler Trucks already represents the benchmark in the disciplines of safety, efficiency and connectivity. Many groundbreaking innovations bear the hallmark of Daimler Trucks, from the Electronic Stability Program ESP and the emergency braking system ABA, now in its third generation, through to the newest arrival, Blind Spot Assist. With the introduction of the Future Truck 2025 in Magdeburg in July 2014, Daimler has also kick-started the discussion about the framework conditions that will be required around trucks that drive autonomously and thus about the future of goods transport on our roads. 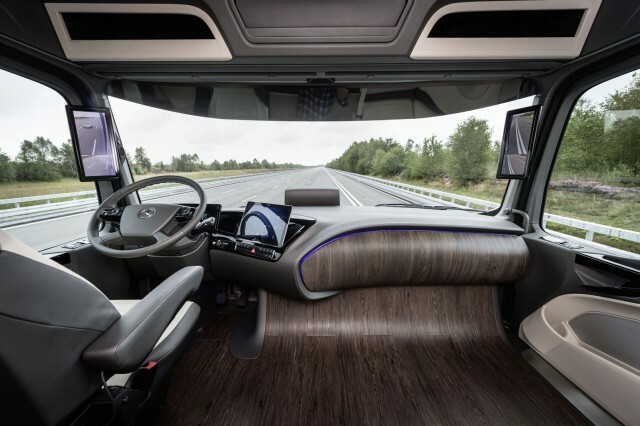 “The challenge now is to leverage this momentum and to continue our open dialogue with all parties involved, so that in ten years’ time the autonomously driving truck will indeed have become an accepted feature on our roads,” stated Bernhard.